This section of Green Street between Wright Street and Busey Avenue is part of a critical and historic transportation link between downtown Urbana the heart of Campustown, which is under the jurisdiction of the City of Urbana. This street segment serves to move a high number of pedestrians, bicycles, buses and other vehicles through the heart of this academic and historic portion of the University of Illinois Campus. This area of campus is a primary destination in the core of our community and the corridor serves as a key entryway. 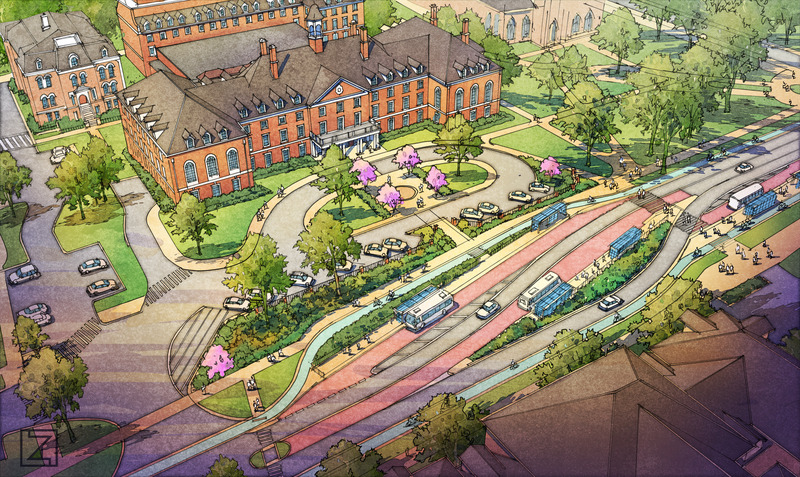 In addition to transportation users moving east west along the corridor, there is also a great deal of pedestrian movement across Green Street moving between the main University Quadrangle and Illini Union to the south and the College of Engineering campus to the north. The east end of this corridor also includes student residential housing and neighborhood commercial interests. The MCORE project will look closely at how best to manage the large number of pedestrians that cross over the street and the bicycle transit interaction. 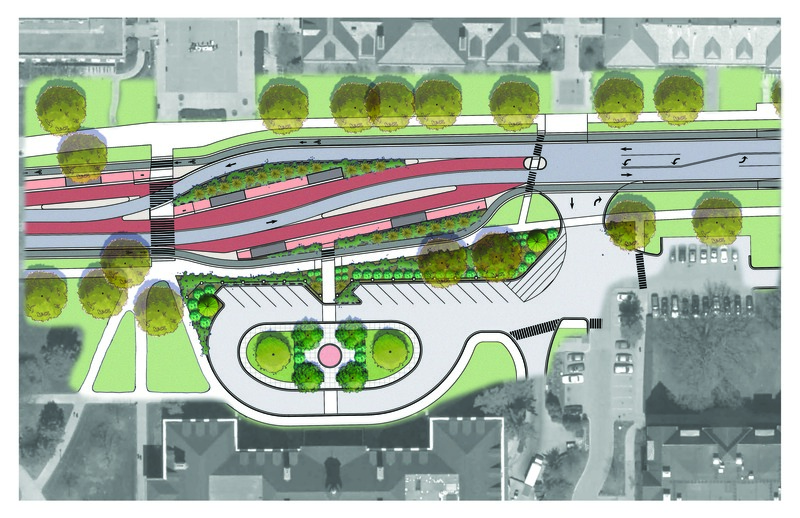 On street bicycle lanes and bus/bike interaction at new bus stop locations will be a key area of consideration as well as the concept of transit only lanes on Green Street. A major focus of the project will also be to provide safe and adequate transportation access during the construction of the project for the stakeholders who live and work in the area as well as helping visitors navigate during construction.